With no record of the origins of the name Bread and Cheese Brook, it’s easy to imagine possible sources of inspiration. According to local legend, in 1776 militia from the Head of Westport broke ranks with the remainder of their contingent to eat bread and cheese and to drink from the brook. The brook could also have been named after simple meals eaten on its banks by picnickers, farm and mill workers, and lovers of nature. 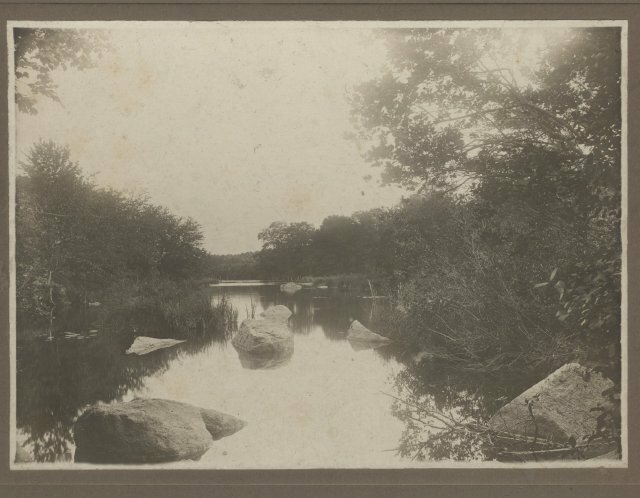 As its importance to the residents of Westport evolved, Bread and Cheese Brook’s ambiguous name continued to reflect its practical and recreational uses. In addition to his farm, George Gifford built a grain mill powered by the flow of the brook’s waters. In keeping with Westport’s colorful place names, locals referred to Gifford’s enterprise as Mouse Mill, since it supposedly processed only enough grain to feed a mouse. As Westport’s economy expanded and technology improved, the Giffords converted the Mouse Mill into a shingle and wagon spoke factory. A bit further downstream, where the brook joins the Noquochoke River, more powerful currents powered larger mills in the 19th century. Perhaps mill workers joined farmhands eating a quick lunch beside the brook. In the 20th century, lunch at the brook moved indoors to the Brookside restaurant where diners enjoyed the view through windows. By 2009, the restaurant stood abandoned and Westport voters approved expenditure from the Community Preservation Fund to protect the socially and environmentally important area and to provide public access. Today, the Brookside Conservation Area is managed by the Westport Land Conservation Trust for the benefit of residents and visitors. 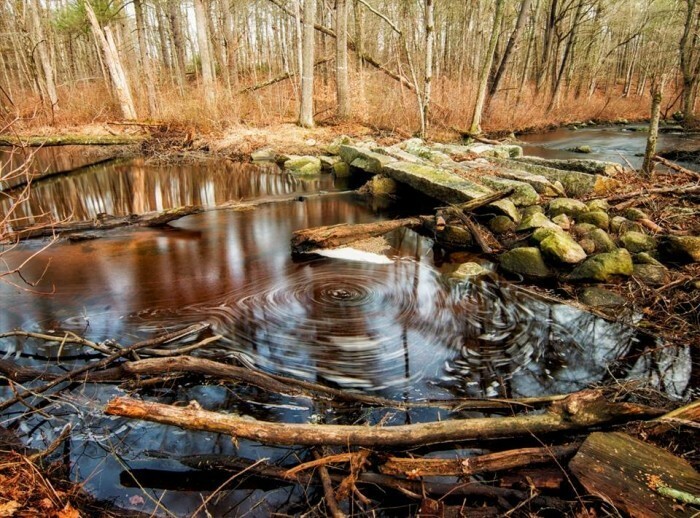 Although people today might be more likely to bring peanut butter and jelly to the brook rather than bread and cheese, lunching on its banks is still an important part of the brook’s identity along with fishing, hiking, and enjoying the picturesque remains of the century-old Granite Bridge. 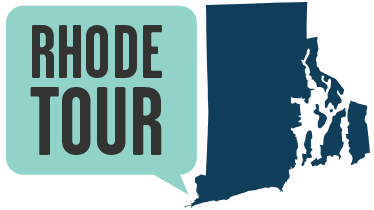 Although Westport’s economy no longer depends on Bread and Cheese Brook, the health of the Westport River Watershed and the town’s aquifer still rely on this small portion of the river system. 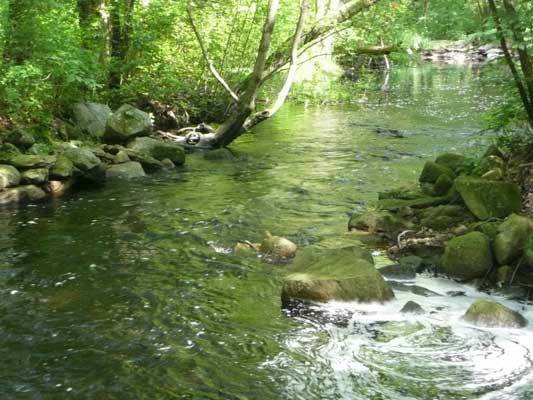 The Westport River Watershed Alliance works with the town of Westport to monitor the conditions of Bread and Cheese Brook to ensure its future enjoyment by picnickers, hikers, and nature lovers. The Westport River Watershed is threatened by high levels of nitrogen, which promote the growth of algal blooms. Excessive algal blooms lead to the loss of fish and plants integral to the river ecosystem. 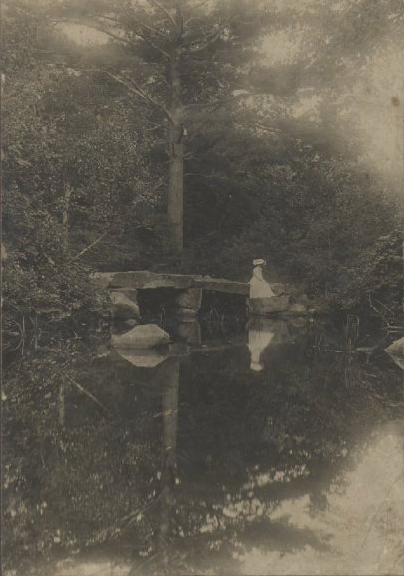 Julia Bianchi, “Brookside Conservation Area,” Rhode Tour, accessed April 21, 2019, http://rhodetour.org/items/show/238. “Nitrogen Pollution.” Westport River Watershed Alliance, http://westportwatershed.org/whats-being-done/issues/. “Land along Bread & Cheese is protected.” SouthCoast Today, 24 June 2009, www.southcoasttoday.com/article/20090624/pub02/306249917.